In November of 1998, Alaskan voters passed Ballot Measure 8 with a considerable 58% of the vote. The law officially went into effect in 1999, removing state-level criminal penalties on the use, possession or cultivation of medical marijuana for those who qualify for a state-issued Medical Marijuana ID Card. That same year, Senate Bill 94 passed, which required patients to enroll in a patient registry. 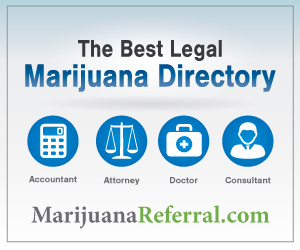 This registry was set up as a protective measure to make sure those patients could be easily recognized and therefore, unlikely to face legal troubles if caught with medical marijuana. Under Alaska’s medical marijuana laws, patients and their caregivers are legally allowed to possess up to one ounce of useable marijuana, and may cultivate up to 6 marijuana plants, of which only 3 at a time can be mature. You must be a resident of Alaska and possess a valid state ID. You must be able to prove that you have been diagnosed with a qualifying medical condition by requesting a copy of your medical records. Once you have obtained your records, you need to bring them with you to see a licensed physician in Alaska. The physician will need to give you written documentation stating that you are a qualifying patient. At this point, you are eligible to apply for and receive a Medical Marijuana Card from the state of Alaska. Under the Alaska Medical Marijuana Laws, patients with the following ailments are afforded the legal use of marijuana. Any chronic or debilitating disease or treatment of such diseases, which produces, for a specific patient, one or more of the following: cachexia; severe pain; severe nausea; seizures, including those that are characteristic of epilepsy; or persistent muscle spasms, including those that are characteristic of multiple sclerosis. To apply: You need to submit a marijuana card application with the Alaska Bureau of Vital Statistics. Before you send it off, be sure to double and triple check the form to make sure all information is accurate. Misinformation will delay your application and missing information will result in a denial and a 6 month waiting period before you can apply again. There is also a $25.00 ($20.00 for renewal) nonrefundable application fee, payable to the Bureau of Vital Statistics. All Renewal Applications submitted after a registry identification card has expired will be considered a new application and the applicant will be required to pay the fee for first-time applicants ($25.00).